Monday Mornings at Main: "Decoding the Driftless"
Join us at 9:30 AM every Monday from February 4-April 29, 2019 for a series of lifelong learning programs for ages 50 and better. Each week we'll hear from a different local expert on a wide-variety of topics. The auditorium will be open right at 9 AM. Come early to save your seat and enjoy social time with free coffee and treats! 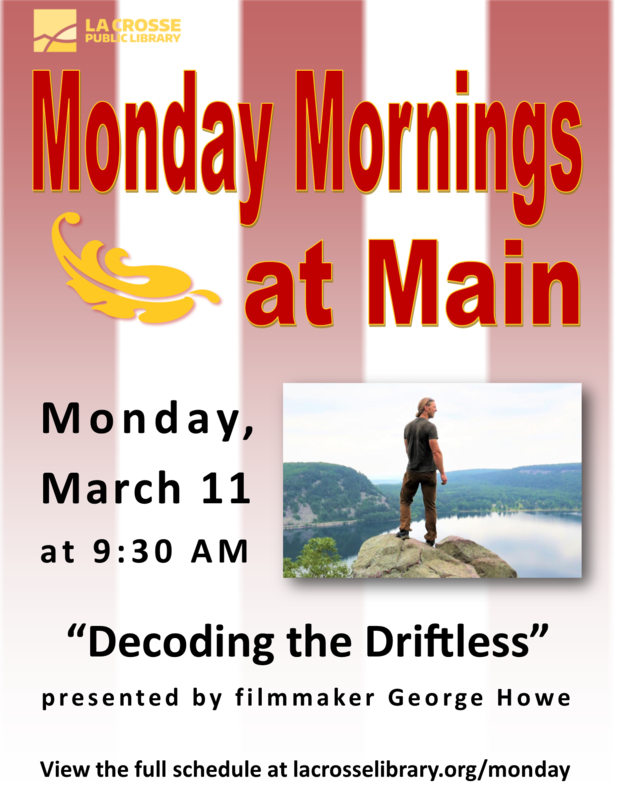 On Monday, March 11 we'll be screening and discussing the new documentary "Decoding the Driftless" along with filmmaker George Howe. Monday Mornings at Main is funded through a grant from the Gert Salzer Gordon Trust.